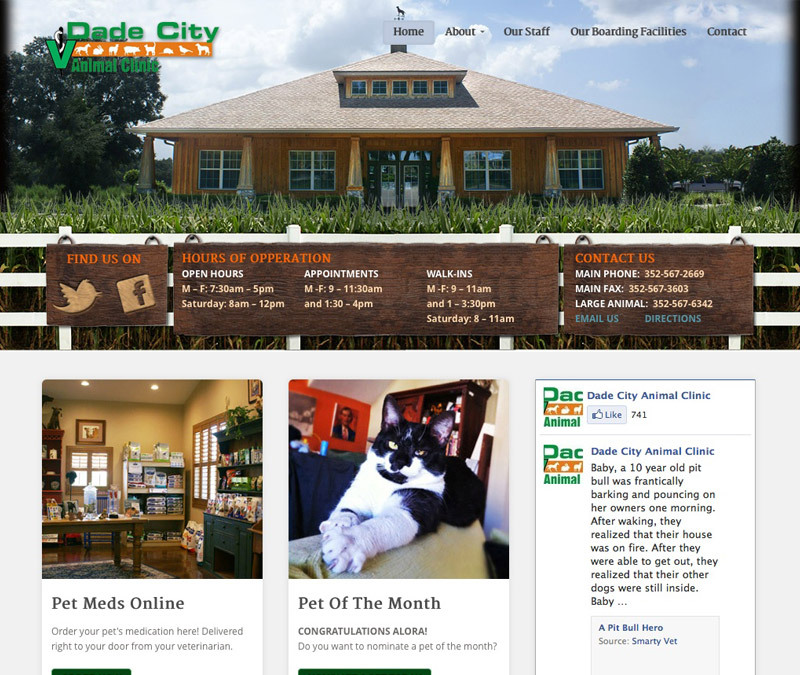 Dade City Animal Clinic is nestled in the heart of horse and cattle country in Florida. They have a cute frontier inspired hospital servicing all kinds of pets from farm animals to toy poodles. They wanted a fun site that fit their personality and showed off more of their building.